Diabetes Is On The Rise – Do You Know Your Risk? Did you know someone in the U.S. is diagnosed with diabetes every 21 seconds? 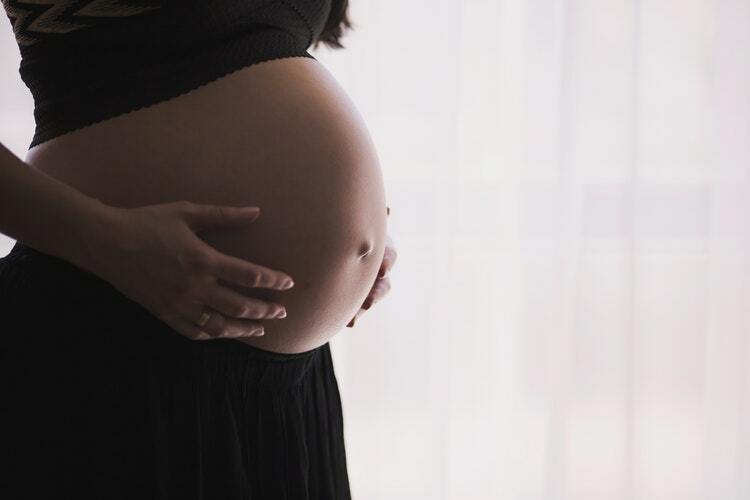 According to research by the American Diabetes Association, diabetes affects 30 million children and adults in the U.S – that’s 1 in 11 Americans. Even more shocking is that 84 million Americans have prediabetes and are at higher risk of developing type 2 diabetes, but 90% of them don’t know they have it. November is Diabetes Awareness Month, and as the seventh leading cause of death in the United States, it is important to bring attention to this chronic disease. There are several types of diabetes: type 1, type 2, and gestational diabetes (or high blood sugar in pregnancy that usually resolves soon after the baby is born. Be aware, even though it usually goes away, this type of diabetes increases your risk of developing type 2 diabetes later in life). Type 1 diabetes is a condition that develops in response to an immune reaction, and it cannot be prevented. When this occurs, the beta cells of the pancreas stop producing insulin, a hormone required to move glucose (otherwise known as sugar) from the bloodstream into our cells where it can be used for energy. Insulin is necessary to sustain life since glucose is the body’s primary form of energy, so people with type 1 diabetes must take insulin multiple times daily to survive and maintain healthy blood sugar levels. In type 2 diabetes, the body still produces insulin, but cells have become resistant to its effect. This is called insulin resistance and means the body isn’t working as it should to move glucose from the blood in to cells. Diet, exercise, and other lifestyle factors are pillars in the treatment of type 2 diabetes, and often medicine is required as well. Type 2 diabetes is by far the most prevalent form of diabetes (95% of people with diabetes have type 2), and unlike type 1 diabetes, it can be prevented with awareness of risk factors and healthy lifestyle choices. We will get to more on this in a minute. Hemoglobin A1c (HgbA1c) is a blood test that correlates to a person’s average daily blood sugar from the previous three months and is used as the primary diagnostic marker for diabetes. HgbA1c is measured as a percentage – for example, 7.0% – because it indicates the amount of a hemoglobin molecule (a protein in red blood cells) that is covered by glucose. As glucose builds up in the blood stream it binds to hemoglobin, so the higher the percentage, the higher the average daily blood sugar level, and vice versa. To further illustrate this concept, imagine this: the more glucose, or sugar, that is in a person’s blood stream on a daily basis, the more that glucose will stick to the hemoglobin molecule and coat the outside. So, a result of 12.2% indicates that 12.2% of the molecule is coated in glucose. A normal HgbA1c reading for a person without diabetes is less than 5.7%, and diabetes is normally diagnosed at a level of 6.5%. 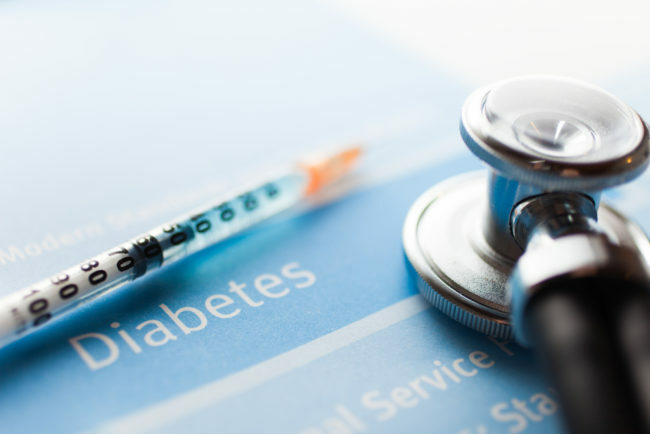 Prediabetes – a condition diagnosed when a person’s HgbA1c is between 5.7% and 6.4% – indicates that a person’s blood sugar is higher than normal, but not yet high enough to be diagnosed as diabetes. Don’t let the ‘pre’ in the name fool you though! This diagnosis increases the risk of developing type 2 diabetes, heart disease, and stroke. And most importantly to understand, prediabetes is reversible. 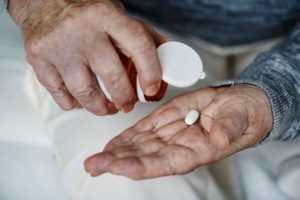 The development of type 2 diabetes can be prevented or delayed with proven lifestyle changes and regular monitoring at doctor visits; and some providers will prescribe a drug called Metformin, which can help lower blood sugar. Knowing your risk factors is also helpful. If you have been diagnosed with prediabetes, think of this as your red flag warning. Ignore it, and your risk for developing type 2 diabetes goes up. Make some small changes, and your risk goes down. In fact, research has shown that a person with prediabetes can reduce their risk for developing type 2 diabetes by 50% by making just two changes: get regular physical activity and lose a modest amount of weight. Modest weight loss means 5% to 7% of body weight, which is just 10 to 14 pounds for a 200-pound person. And regular physical activity means getting 150 minutes of moderate activity weekly – that’s just 30 minutes a day, 5 days a week. To make it even more manageable, consider that time could be divided into two 15 minutes bouts of exercise. Moderate activity includes brisk walking, bike riding, or other physical activity performed at a pace where holding a conversation would be difficult. People with diabetes have healthcare costs 2.3 times greater than those without diabetes, and the costs continue to rise every year as medications become more expensive. Further, because diabetes affects nearly every major organ in the body, people with diabetes have an increased risk of serious health complications including stroke, blindness, heart disease, kidney failure, and loss of toes, feet, and legs. 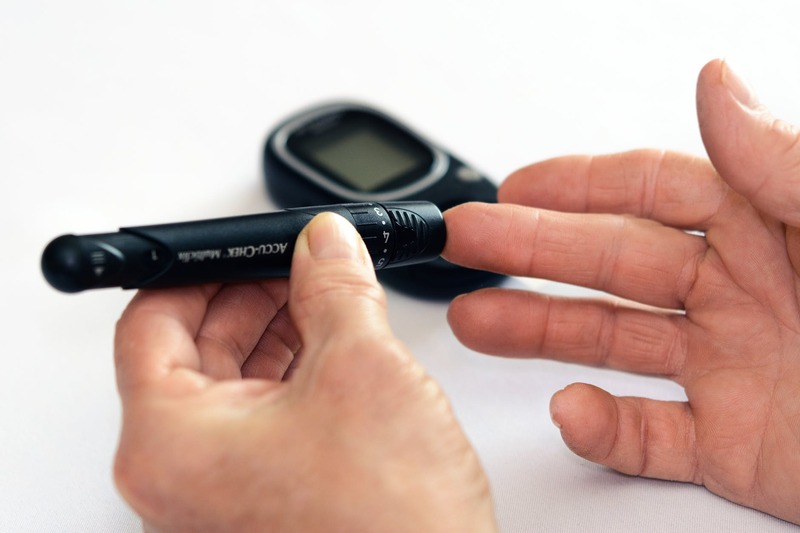 These complications are a direct result of poor blood glucose control, so it is critical for people with all forms of diabetes to learn and practice good self-management. This may include following a modified diet, getting regular exercise, taking medicine, monitoring blood sugar at home, checking feet for cuts and wounds, completing eye exams, and attending regular doctor appointments. Economic Costs of Diabetes in the U.S. in 2017. Diabetes Care journal, March 2018. Accessed via the American Diabetes Association website on November 13, 2018: http://care.diabetesjournals.org/content/early/2018/03/20/dci18-0007. The Staggering Costs of Diabetes. American Diabetes Association website: http://www.diabetes.org/diabetes-basics/statistics/infographics/adv-staggering-cost-of-diabetes.html. Accessed November 13, 2018.